SURPRISE, Ariz. - March 21, 2019 - PRLog -- Lennar is excited to begin pre-selling at Freedom which introduces a brand-new collection of single-level designs with RV garages. Set within the amenity-rich Asante masterplan in Surprise, you can be among the first to purchase an Everything's Included® home in this sophisticated community near exciting recreation and entertainment. Model homes will open later this year and buyers are encouraged to join the interest list to receive up-to-date information including an invitation to the Grand Opening event. "With so many recreational opportunities nearby, such as the popular Lake Pleasant, we wanted to bring to home shoppers in the area a modern collection of new home designs that would complement their on-the-go lifestyle," said Alan Jones, Division President for Lennar Phoenix. "When you're not exploring the beautiful outdoors, you'll appreciate having a dedicated space in your home for your recreational vehicle, boat or any other type of vehicle. If you're interested in this great community, stop by the Welcome Home Center today and secure your new home!" 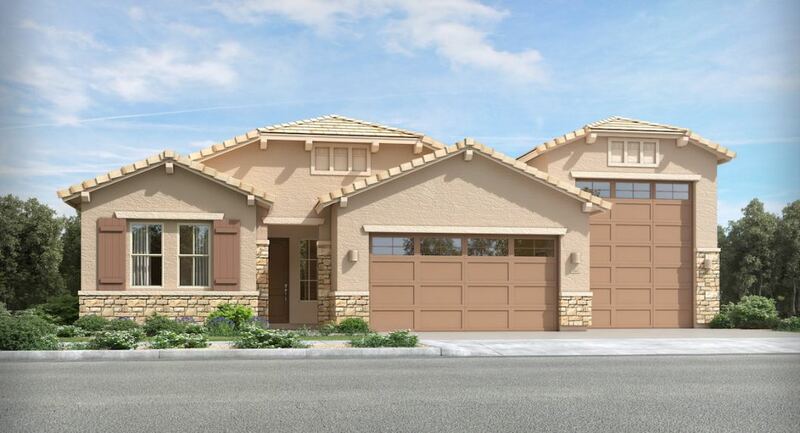 Freedom at Asante (https://www.lennar.com/new-homes/arizona/phoenix/surprise...) offers four single-level living designs to choose from starting from the low $300,000s. Floorplans range in size from approximately 2,183 to 2,406 square feet of living space including three to four bedrooms and two and one-half to three bathrooms. Per plan, these modern designs provide both car and RV garages, while still offering ample space for entertaining and for everyone in the family. Experience bright and open layouts for hosting family gatherings and parties, upscale kitchens with large islands, outdoor living spaces, spacious secondary bedrooms for the kids and an elegant owner's suite boasting a spa-inspired bathroom. In addition, Lennar's signature Everything's Included® program incorporates designer upgrades and features into every new home as standard. Enjoy black appliances, granite countertops, home automation technology, upgraded and high-quality cabinetry, energy-efficient features and much more throughout—all at no extra cost to you.